Former vice president Atiku Abubakar has reacted to a disclosure by World Bank president, Jim Yong Kim, that President Muhammadu Buhari sought the institution’s support for Northern states. In a Facebook post on Saturday, Atiku stated that news of assistance to Nigerians by international organisations was commendable. The Waziri Adamwa said he’s “glad to hear the President of the World Bank Group, Jim Yong Kim and the IMF Managing Director Christine Lagarde reiterate some of the points I’ve made recently in the ongoing conversations on restructuring as it relates to investing more in human capital, infrastructure, education for our people, etc. 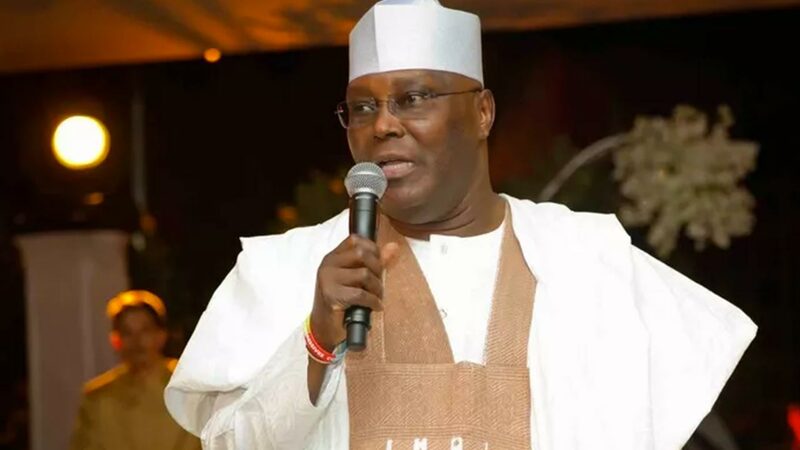 Atiku, however, shared a link of a speech titled ‘Restructuring for a united and progressive Nigeria’ he deliveredat the University of Nigeria, Nsukka (UNN). It reads in part: “My vision of Restructuring, will not make some States richer and others poorer. Restructuring is a win win for all Nigerian states. “So let me make it clear beyond any possible doubt: the Restructuring I am proposing will not reduce the share of our nation’s oil revenues that any state currently enjoys. However, if we are to grow our revenues we need to change the way we think of our resources and nurture them for the benefit of all. Meanwhile, Governor of Borno State, Kashim Shettima, has risen in defence of President Buhari.